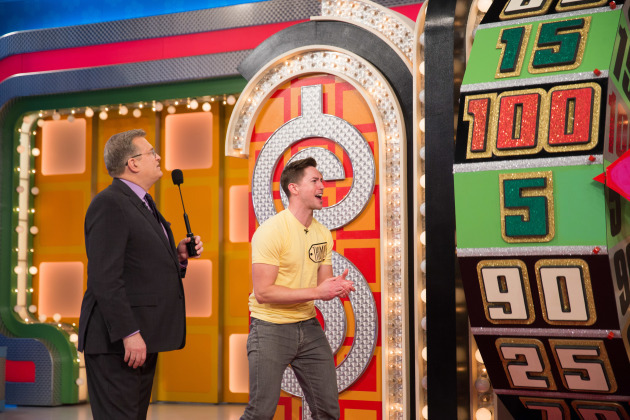 In a perfect world, "The Price is Right" would be offering visitors to the Minnesota State Fair a chance to win the Showcase Showdown by correcting estimating the value of this year's crop art. But the long-running game show is offering fans the next best thing: An opportunity to spin its iconic wheel and win fabulous prizes. Host Drew Carey won't be on hand, but folks near the WCCO booth can chat with announcer George Gray and model James O'Halloran throughout fair hours on Friday. The Wheel is open to the public from 9 a.m.-8 p.m. Friday through Sunday (Aug. 24-26). More info here. Angelica McDaniel, a native Minnesotan who is in charge of CBS' daytime line-up, will also be hanging around.